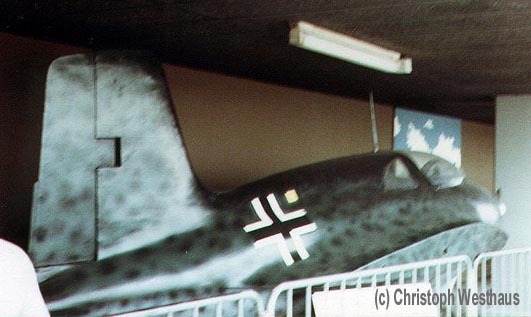 The Komet replica at Dusseldorf airport. It is on display without its wings. The markings are different from those seen at Frankfurt.